Inside the Over-the-Top Lives of Celebrity Kids: Watch! Inside the Outrageous Lives of Celebrity Kids — Saint West, Princess Charlotte and More! Who needs an Etch A Sketch when a gold rattle is up for grabs? Saint West, Princess Charlotte and Harper Beckham are just some of the celebrity kids living a life of luxury thanks to their famous moms and dads. From expensive outfits to their own mini sports cars, Us Weekly Video takes a look at what it&apos;s really like to be Hollywood offspring. First up is Kim Kardashian and Kanye West&apos;s baby boy, Saint. The 10-month-old has shown off his impressive style since arriving late last year. When not wearing Yeezy booties, Saint can be spotted wearing a gold chain necklace and a bomber jacket designed personally by Ralph Lauren. His older sister, North West, has a fully stocked closet of designer duds too. 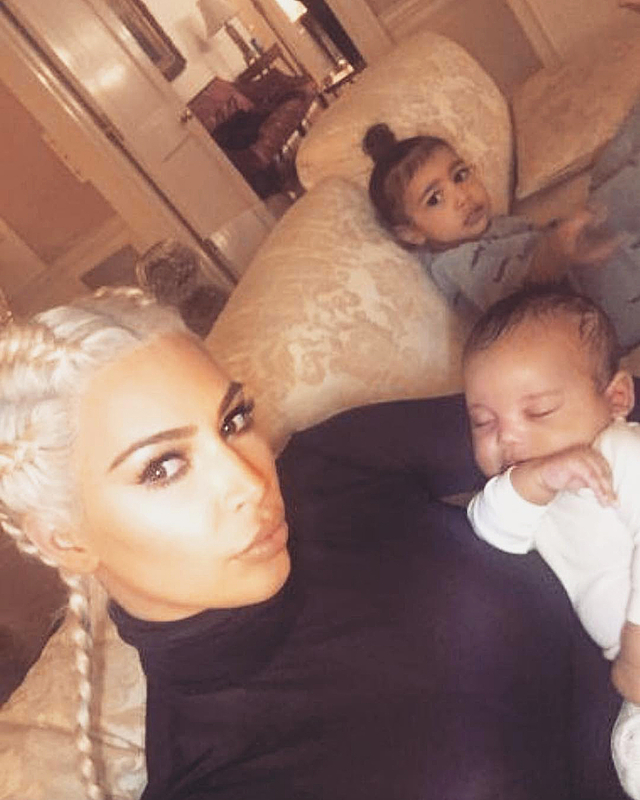 Saint and North&apos;s cousins are just as pampered. Penelope Disick, in particular, has a handbag many adults could only dream of owning. In March, Kourtney Kardashian and Scott Disick&apos;s 4-year-old daughter was photographed holding a Fendi bag retailing at $3,450 while attending an Easter church service. Lavish gifts aren&apos;t the only benefit of growing up in a famous household. For example, Victoria and David Beckham&apos;s little girl, Harper Beckham, has traveled around the world and in September 2013 even scored a front-row seat next to Vogue editor in chief Anna Wintour during New York Fashion Week. Of course, let&apos;s not forget the cute rascals across the pond. Kate Middleton and Prince William&apos;s children, Princess Charlotte and Prince George, are often showered with presents by locals and foreign leaders. When 17-month-old Charlotte grows up, she can even wear a $34 Marc Jacobs red lipstick that was named after her.